dragonflies are so cool… | What's that you said? I love dragonflies for many reasons: they’re fast, quick, probably pound for pound the best arial predator. They are also deaf. Apparently, when they migrate, it’s a multi-generational project. I can’t quite wrap my head around this idea. Can you imagine living your life in one place, knowing your children will make a lifetime’s journey south, your grandchildren the return journey, and then your great grandchildren grow up as you did, to repeat the cycle? The team tested each wing sample for a chemical code that would indicate approximately where the bugs were born. 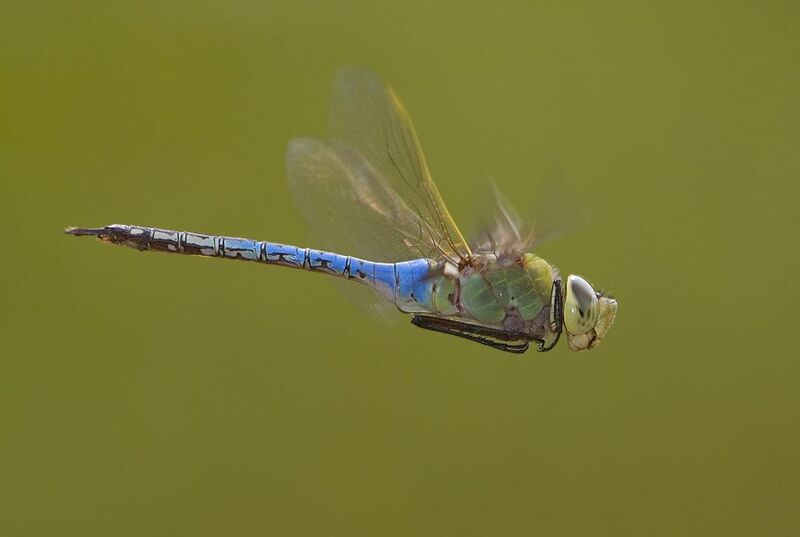 From there, the researchers could figure out how far the dragonflies travelled as adults. To do so, they tested for three hydrogen isotopes—or chemical signatures—each of which vary geographically. Hydrogen accumulates in dragonfly larvae’s chitin, which is the stuff that eventually makes up their wings as adults. Identifying the isotope in each wing sample allowed researchers to narrow in on the dragonflies’ origin. The isotopes aren’t perfect, but they’re good enough to tell whether they originate in “Florida, Maryland or Maine,” reports Ben Guarino at The Washington Post. The citizen science data allowed the team to figure out what types of natural cues, like temperature, give the dragonfly larvae the signal to emerge and migrate. Between February and March, the first generation of dragonflies emerges from ponds and lakes in the southern United States, Mexico and the Caribbean. Then those resilient first-gen bugs travel hundreds of miles north as, making it to New England or the upper Midwest by May. When they get there, they’ll lay their eggs and die. The lives of the next generation are just as incredible. While some of those second generation insects will hang out and overwinter in ponds and lakes in the north during their nymph stage, many will reach maturity and head south between July and October. When those insects reach the south, they deposit another batch of eggs, which mature into a third generation that will live a non-migratory life over the winter on the coast, producing the eggs of the dragonflies that will migrate northward again in the spring. This entry was posted in Science-Nature and tagged ecology, insects, nature. Bookmark the permalink.